Yes, one forgets home is depression era Kansas. Just thinking about Oklahoma or Kansas makes me depressed. You better run now Toto! 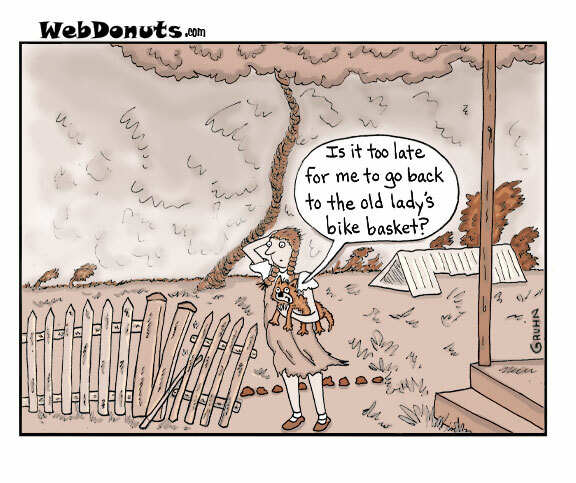 Toto was a fool for leaving that basket! I’d take the risk. What’s the worst that can happen? A bomb shelter might be better. It didn’t have a seat belt, anyway. What?! And miss out on all of the fun?